I finally went to the Encinal Nursery and bought a rose for planting over Mikey's grave out back. I'd originally wanted a climbing Iceberg, but they didn't have any, and I have been pushing it for planting new roses this season, so I didn't want to make another trip to another nursery. 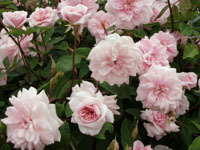 I chose a Cecile Brunner climber, which will be pink and fragrant all summer long. Lovely. He would have liked it a lot. Funny how pink things remind me of him, even though he was white (OK, with a pink nose and ears). 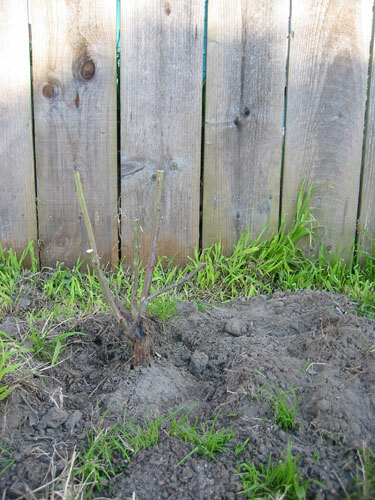 I'll get some wood blocks and a piece of latttice, and attach it to the fence for the rose to grow up. Shouldn't be too many flowers this year; Cecile Brunner blooms mostly on year-old stock. At this rate, all the plants in the yard will be pink.